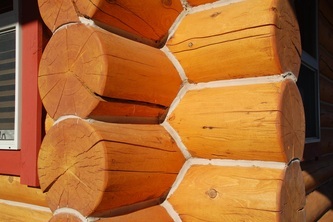 Walk into this perfect log home and you'll think you're entering a mountain lodge. 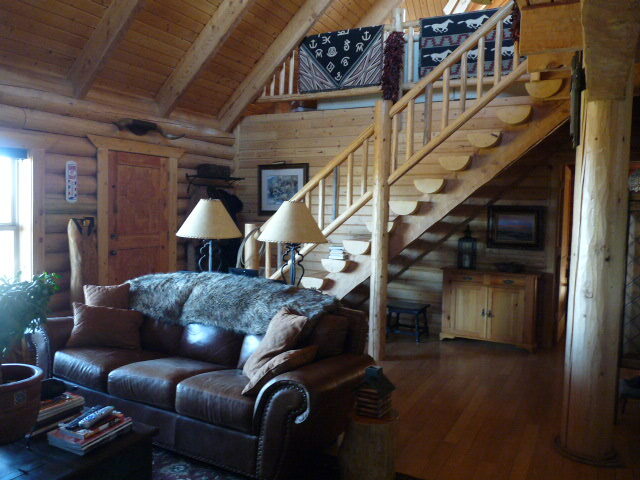 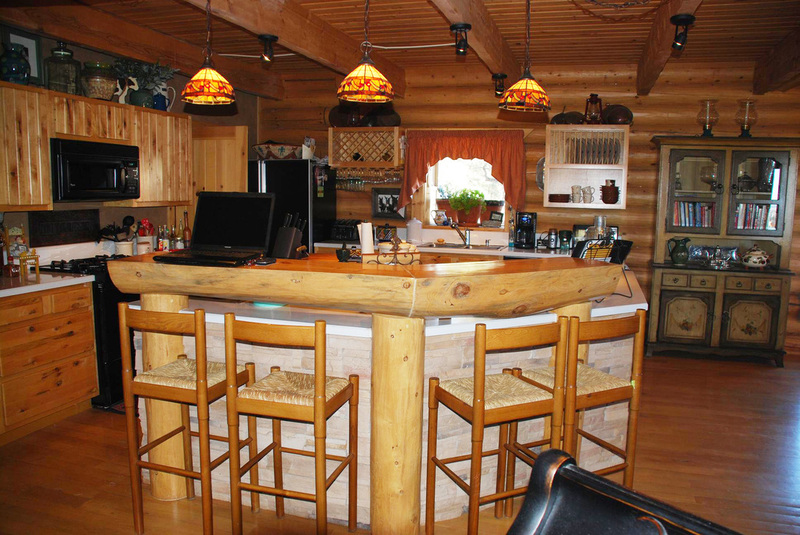 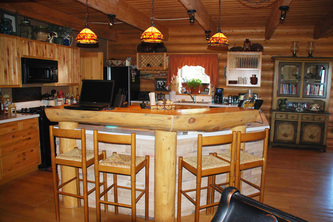 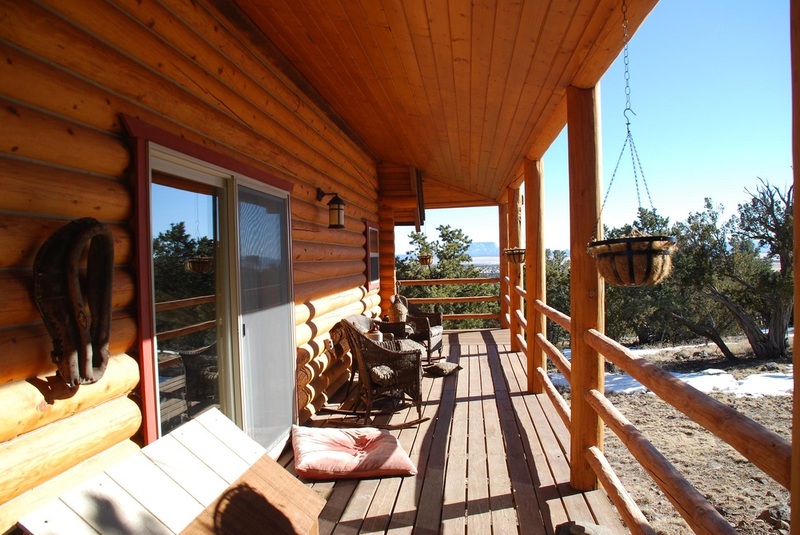 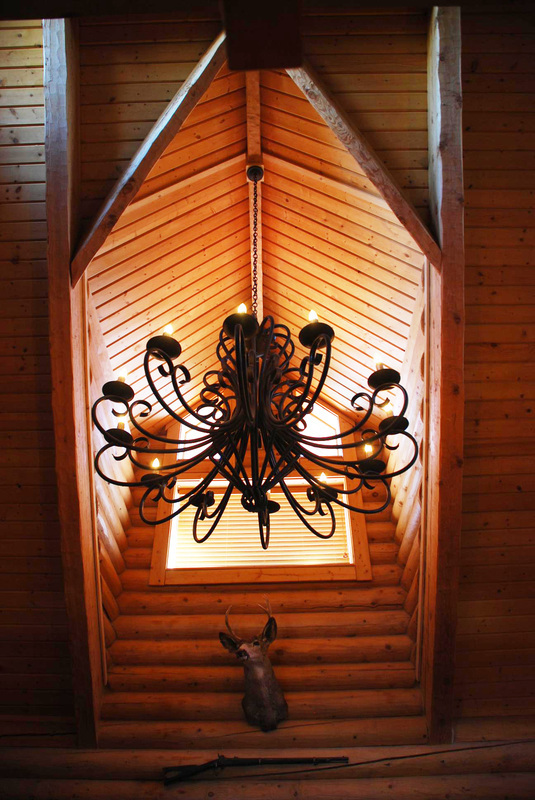 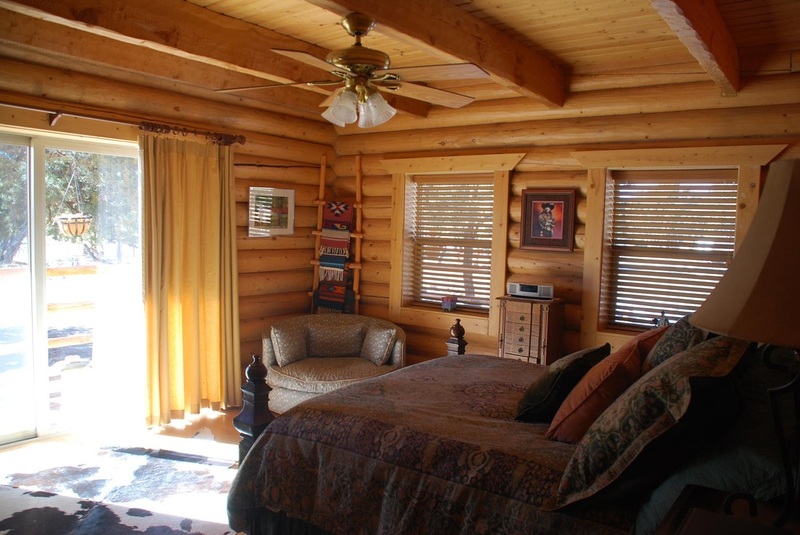 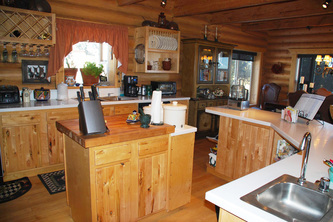 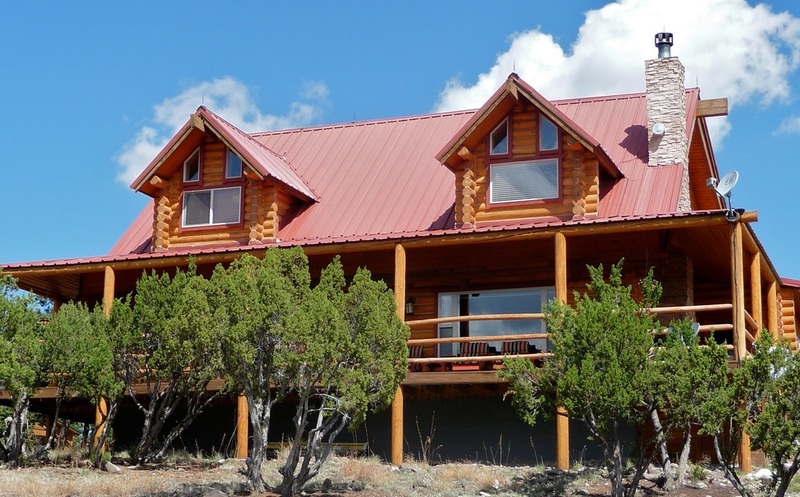 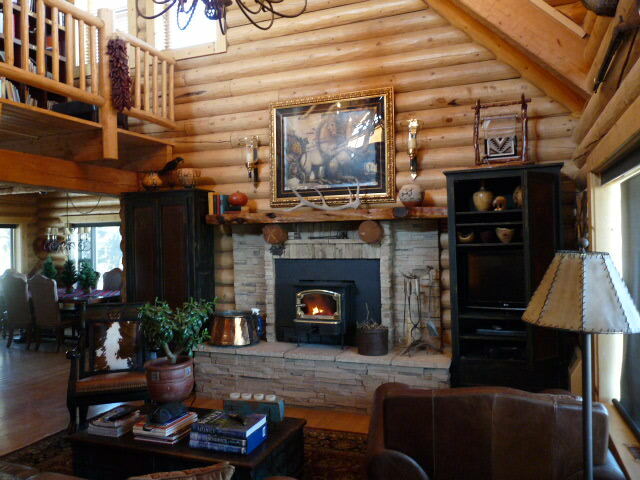 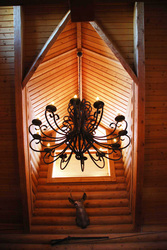 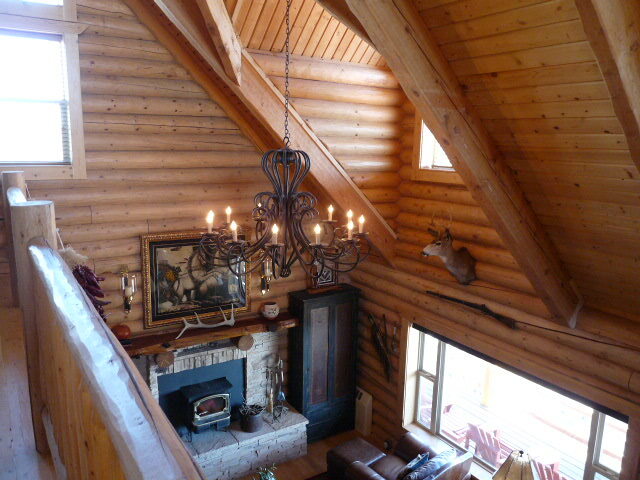 8”-10" logs and beams, grand log staircase, pine floors and ceilings throughout. 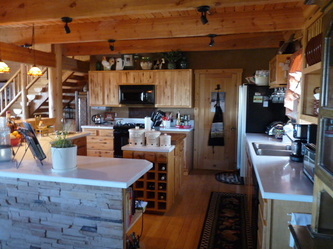 Entertain your friends and family from this nice country kitchen with separate pantry. 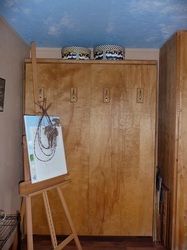 Kitchen, dining and living areas are open plan. 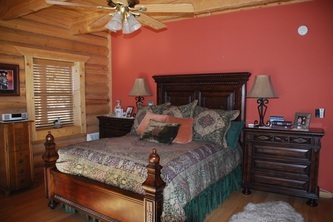 The master bedroom has private access to the porch. 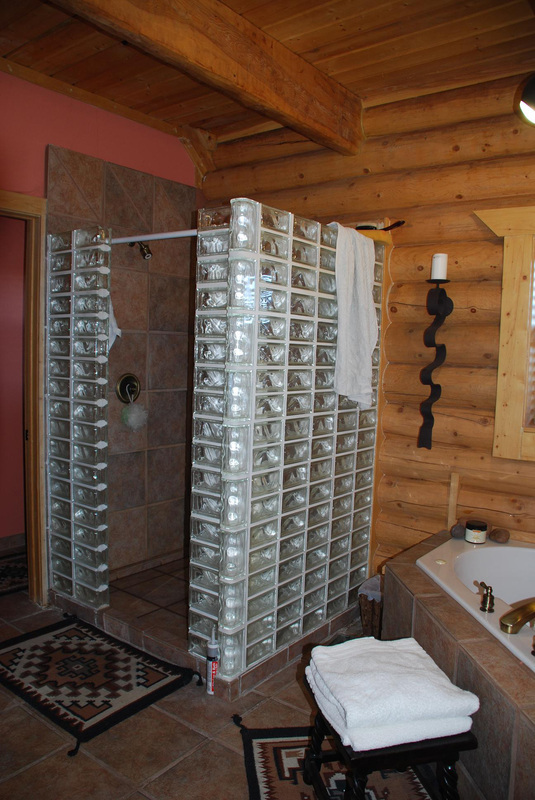 Its private full master bath features a jaccuzzi tub, a large walk-in closet, and a glass-brick shower. 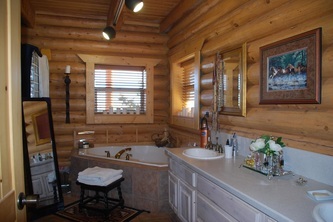 Also downstairs is a half bath for guests. 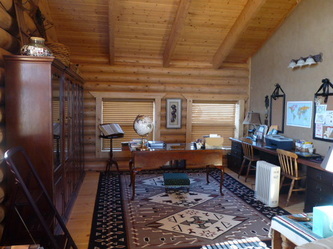 Upstairs are a guest bedroom, a 3/4 bath and a huge study/family room area with an open area view towards the main level. 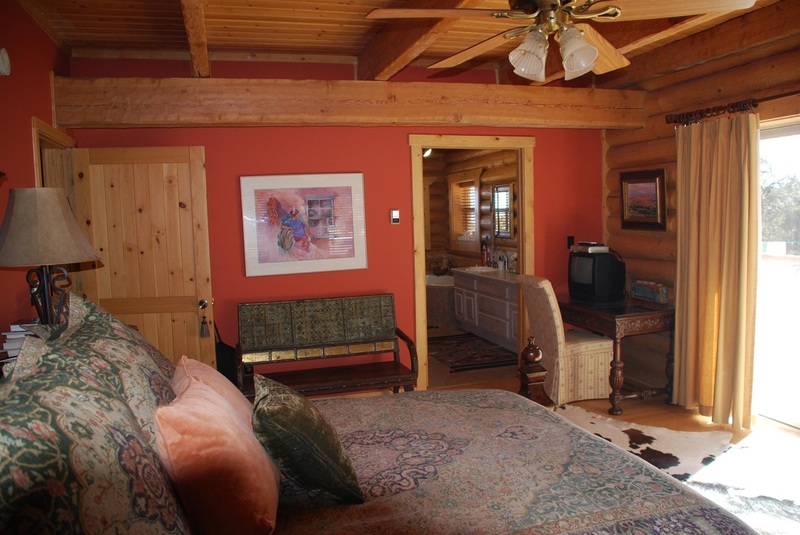 Features include hot water base unit heaters throughout the house, sandstone kitchen counter and sandstone wall above the fireplace in the living room which has a clean wood stove built in providing additional heat and ambiance during those winter months. 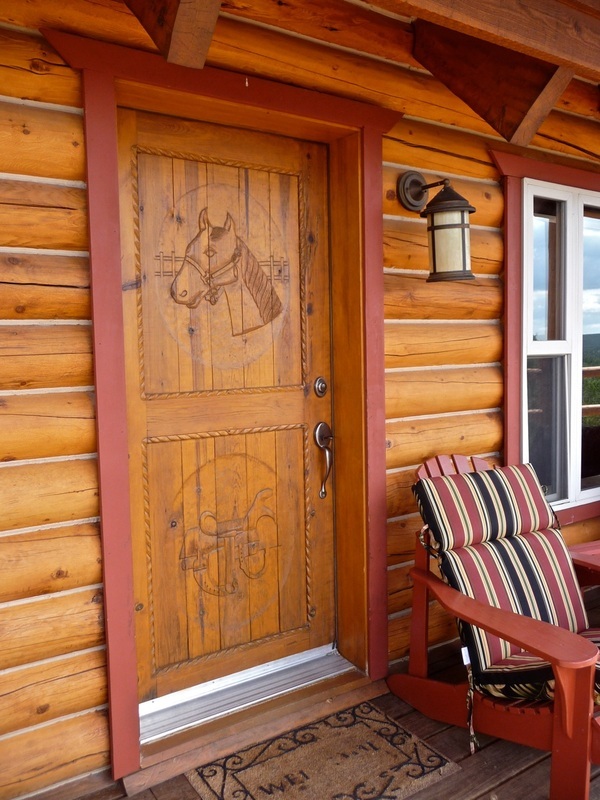 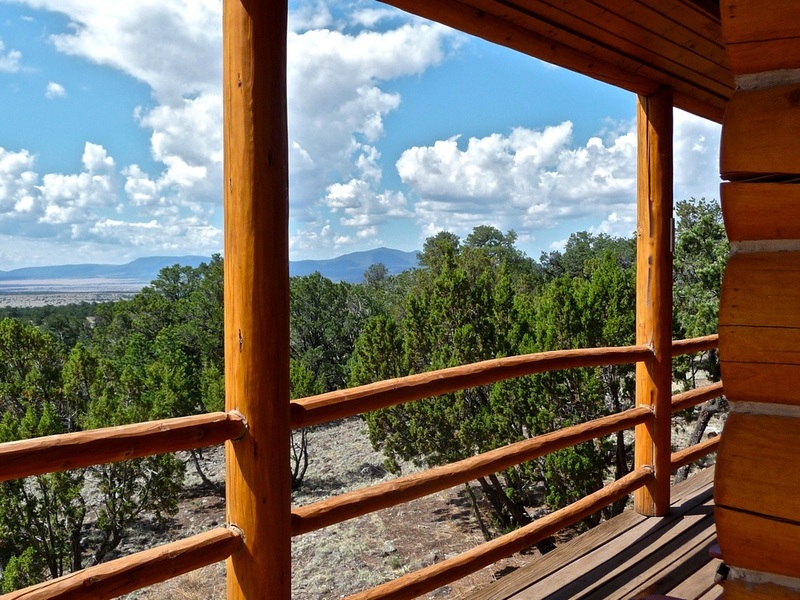 An 8-ft porch wraps around 3 sides from which you can enjoy exceptional "top of the world" east & south-facing views. 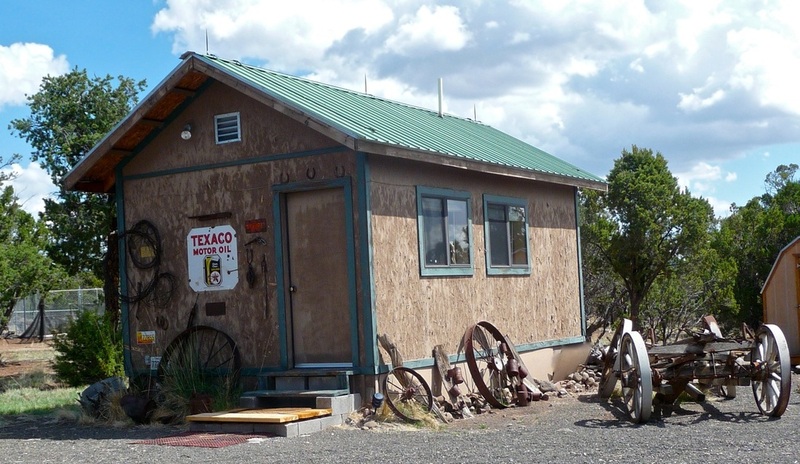 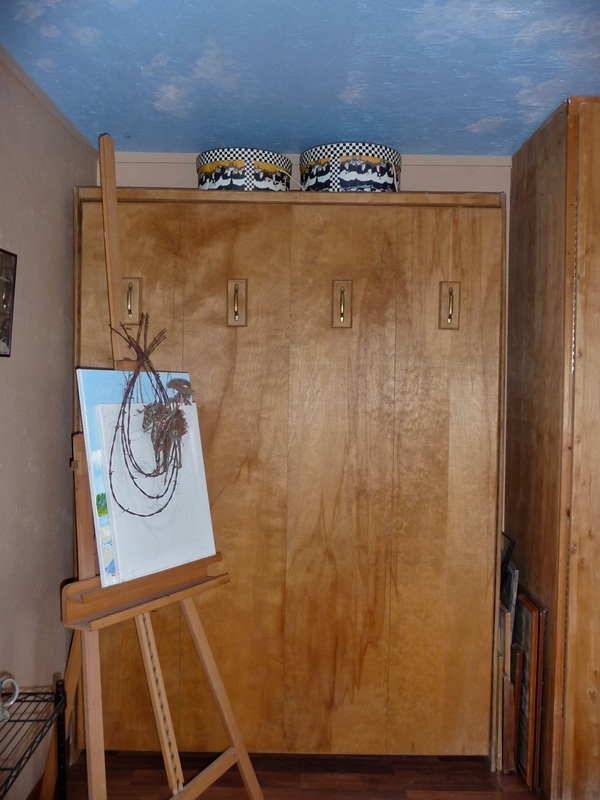 Across the yard there is a detached two-car garage with a work bench and refrigerator, and a small guest house/studio/separate office with murphy bed, kitchen and a ¾ bath. The front yard is nicely landscaped and includes a horseshoe pit and picnic area. The owner keeps a fenced-in and irrigated vegetable garden. 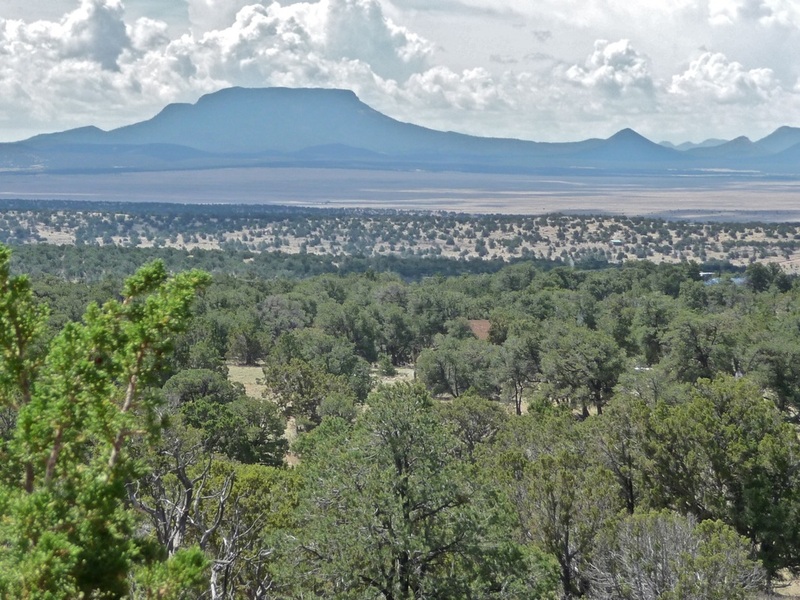 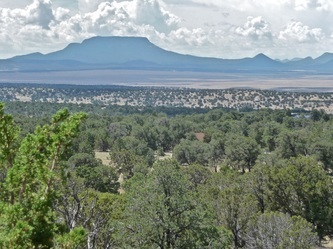 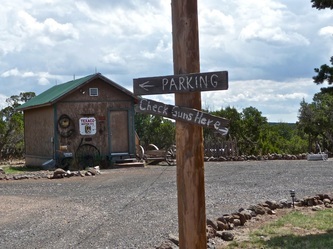 BLM and State sections are close by and ideal for making this a very enjoyable horse property. 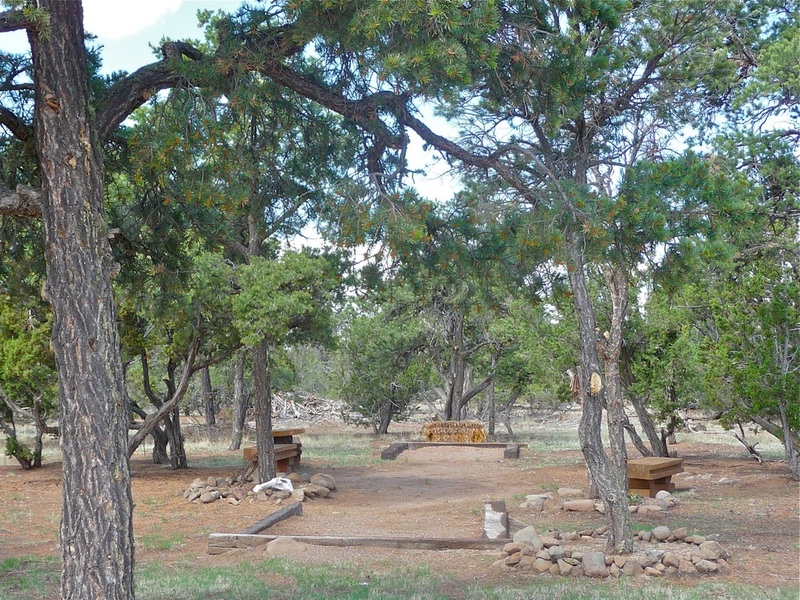 Directly adjacent to this lot are an additional 17 acres which the owner will sell for $ 26,000. 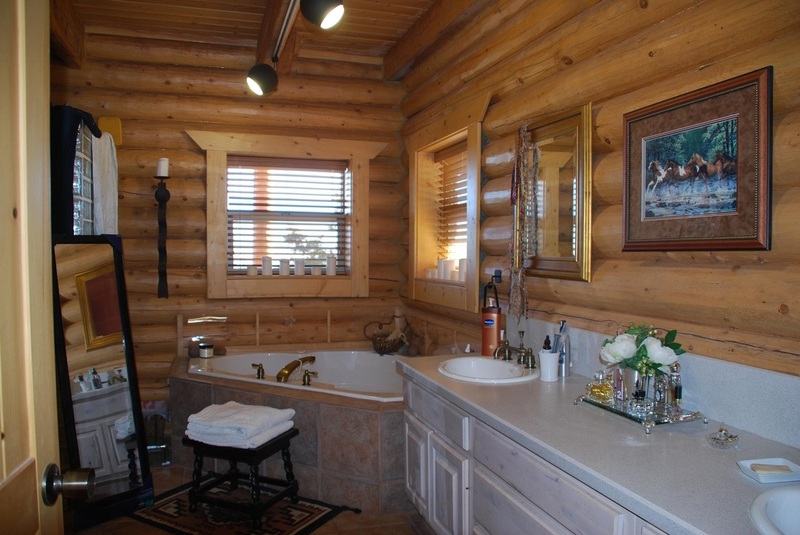 Take it too and enjoy total privacy from all surrounding lots on 34 acres. 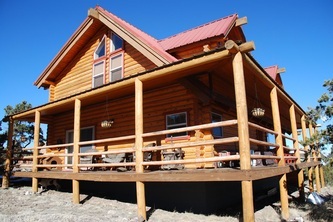 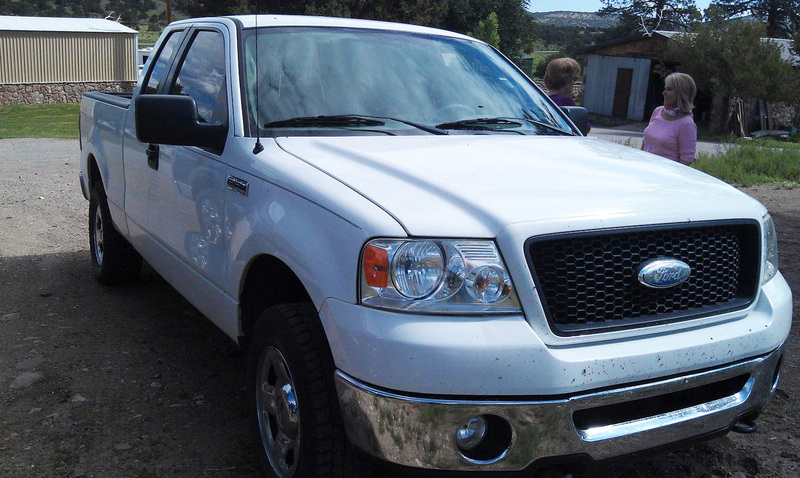 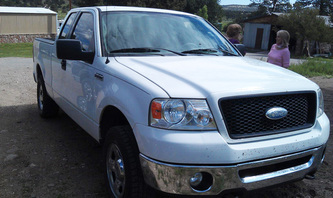 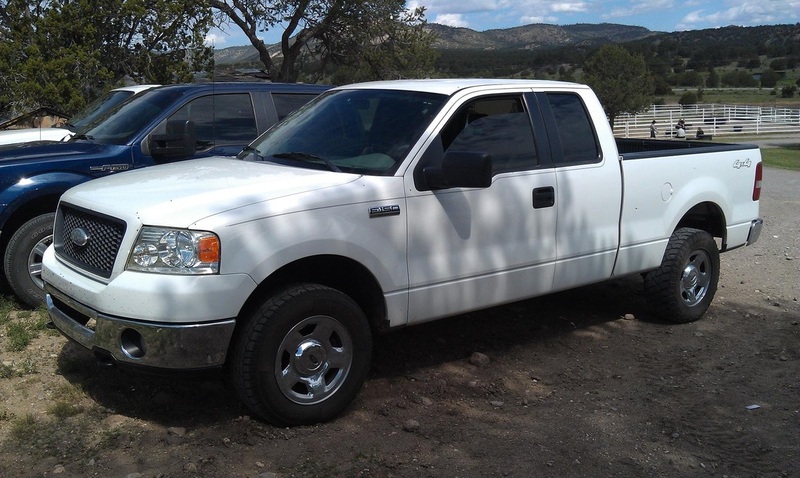 This is an impeccable getaway, very affordable at a total price of around $ 400,000!